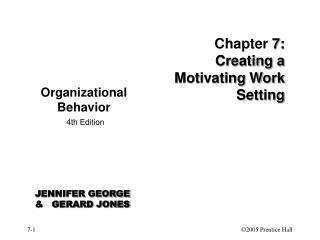 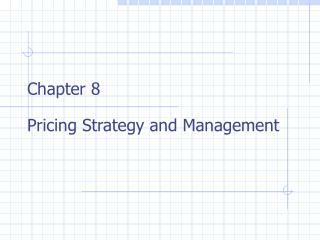 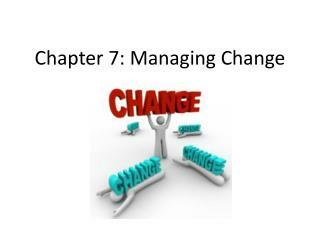 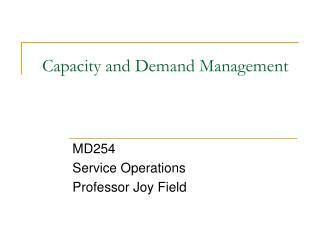 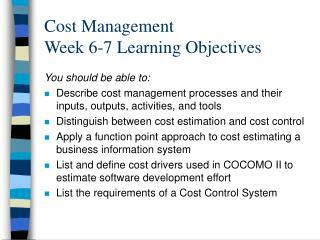 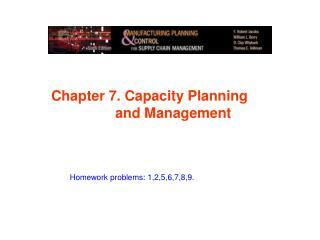 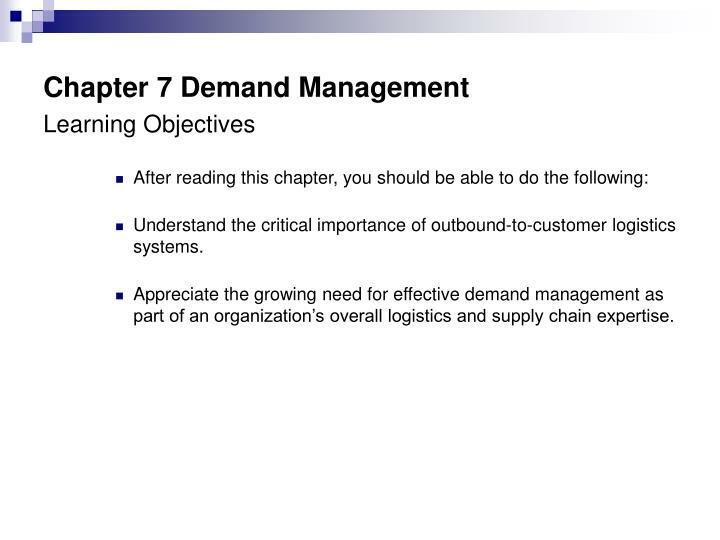 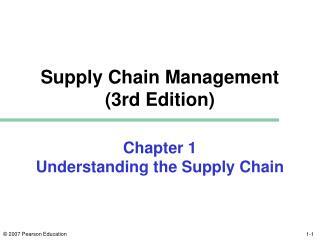 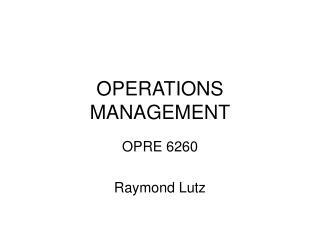 Chapter 7 Demand Management Learning Objectives After reading this chapter, you should be able to do the following: Understand the critical importance of outbound-to-customer logistics systems. 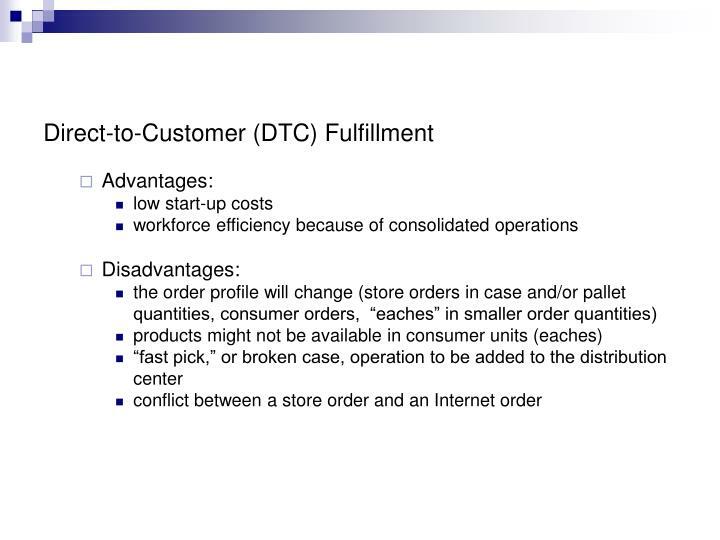 Understand the critical importance of outbound-to-customer logistics systems. 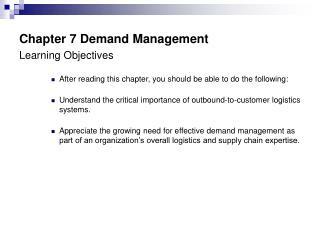 Appreciate the growing need for effective demand management as part of an organization’s overall logistics and supply chain expertise. 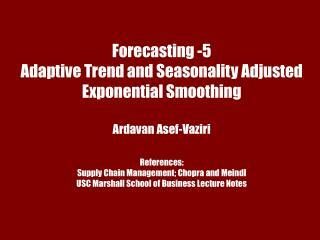 Know the types of forecasts that might be needed, and understand how collaboration among trading partners will help the overall forecasting and demand management processes. 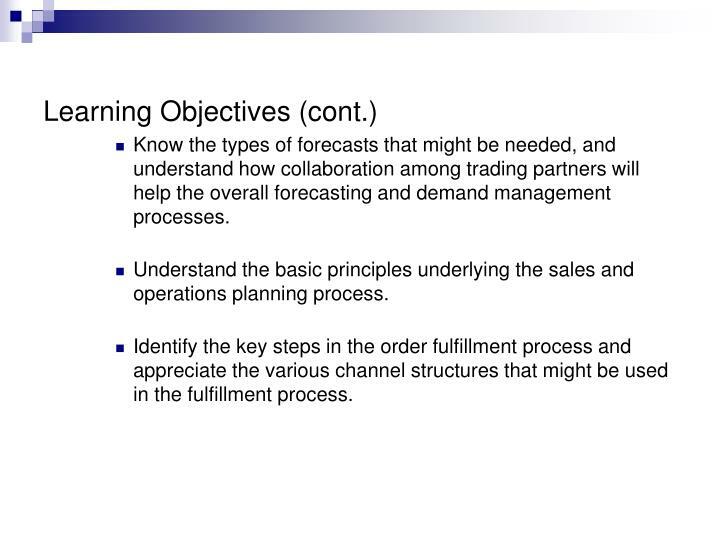 Understand the basic principles underlying the sales and operations planning process. 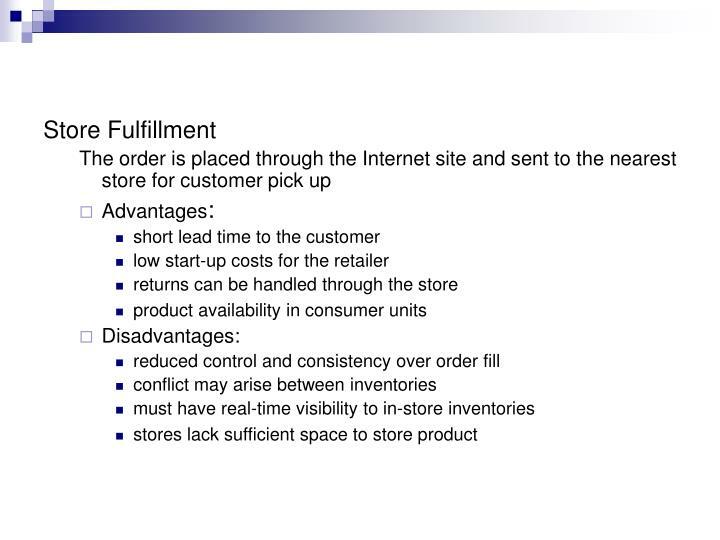 Identify the key steps in the order fulfillment process and appreciate the various channel structures that might be used in the fulfillment process. 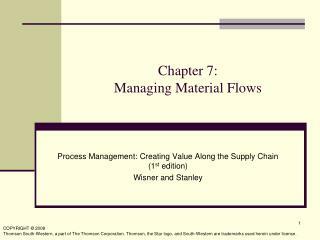 The ability of firms throughout the supply chain to collaborate on activities related to the flow of product, services, information, and capital. 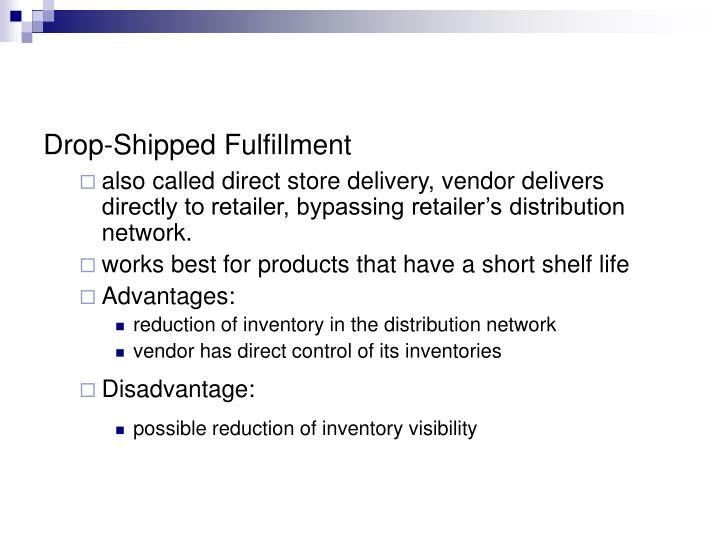 also called direct store delivery, vendor delivers directly to retailer, bypassing retailer’s distribution network. 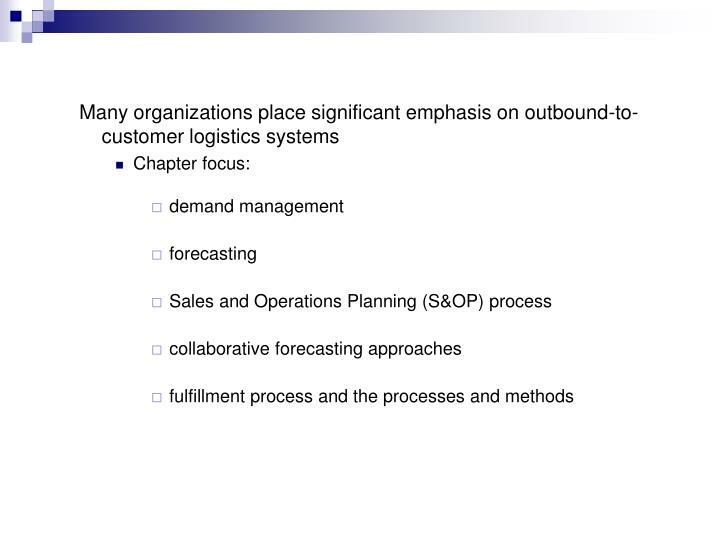 Outbound-to-customer logistics systems have received the most attention in many companies, but even in today’s customer service environment, outbound and inbound logistics systems must be coordinated. 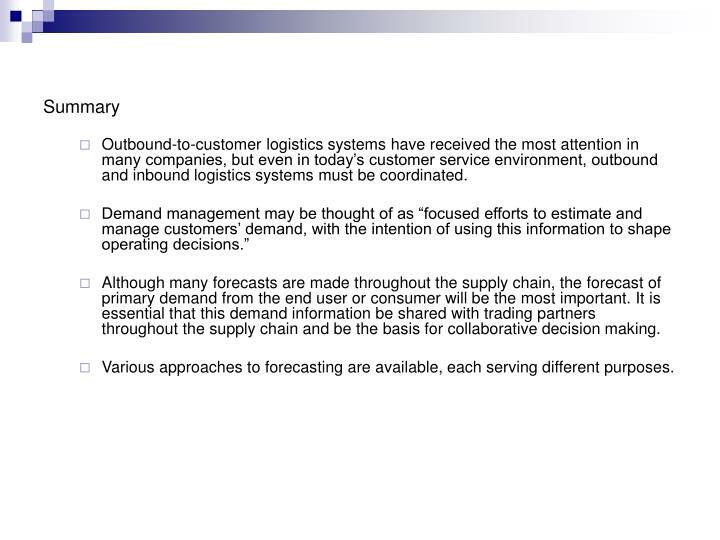 Although many forecasts are made throughout the supply chain, the forecast of primary demand from the end user or consumer will be the most important. 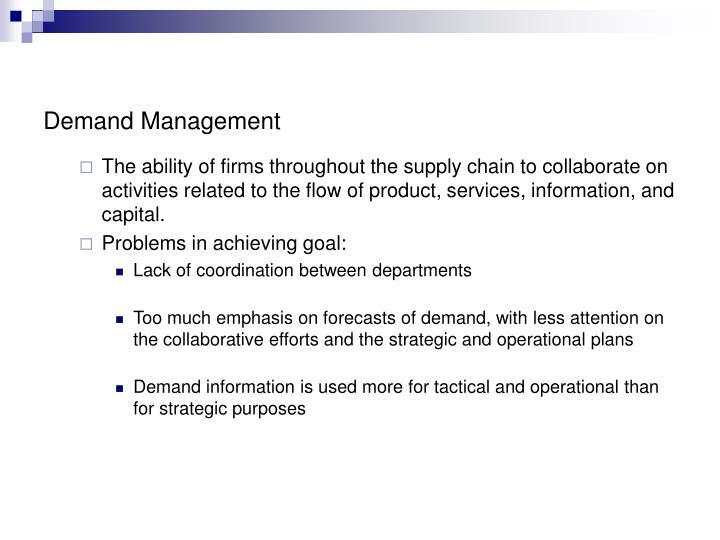 It is essential that this demand information be shared with trading partners throughout the supply chain and be the basis for collaborative decision making. 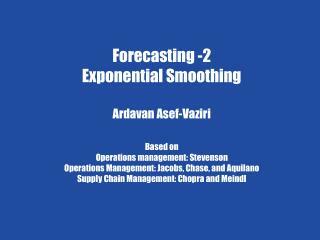 Various approaches to forecasting are available, each serving different purposes. 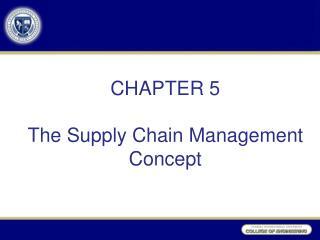 The S&OP process has gained much attention in industry today. 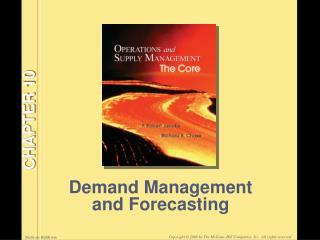 It serves the purpose of allowing a firm to operate from a single forecast. 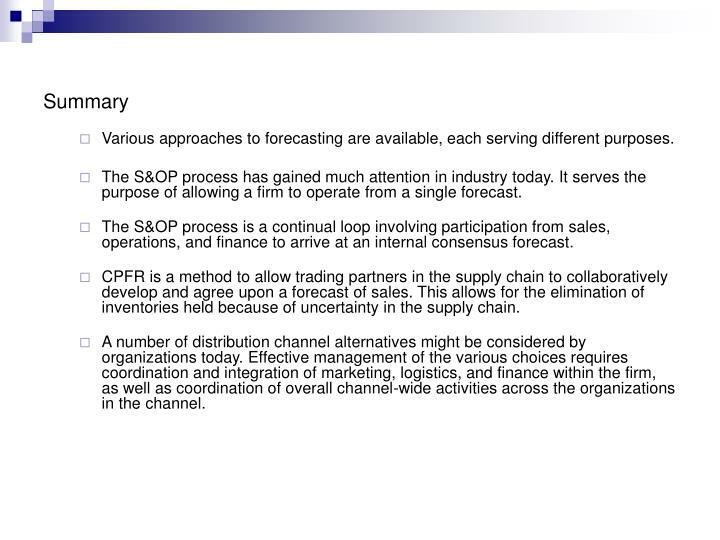 The S&OP process is a continual loop involving participation from sales, operations, and finance to arrive at an internal consensus forecast. 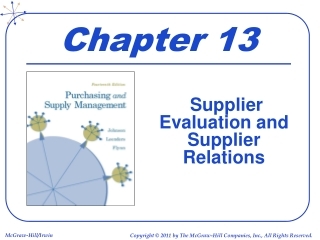 CPFR is a method to allow trading partners in the supply chain to collaboratively develop and agree upon a forecast of sales. 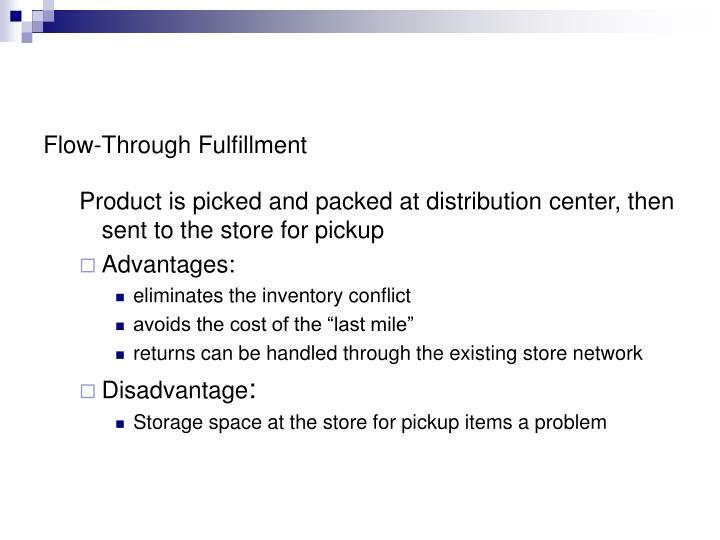 This allows for the elimination of inventories held because of uncertainty in the supply chain. 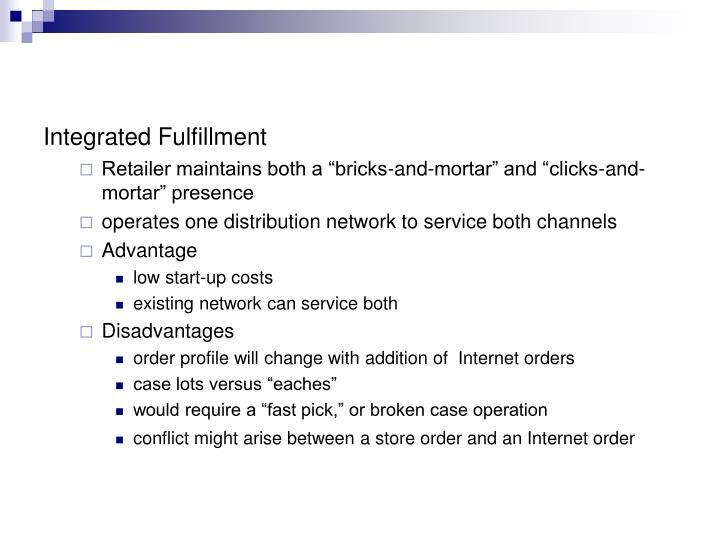 A number of distribution channel alternatives might be considered by organizations today. 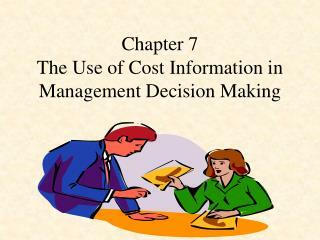 Effective management of the various choices requires coordination and integration of marketing, logistics, and finance within the firm, as well as coordination of overall channel-wide activities across the organizations in the channel. 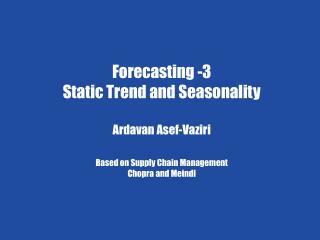 Chapter 7 Demand Forecasting in a Supply Chain -Forecasting -3 static trend and seasonality ardavan asef-vaziri based on supply chain management chopra and meindl. 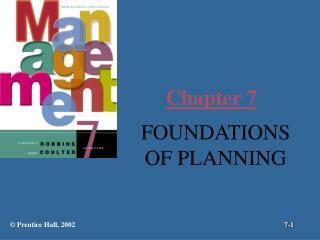 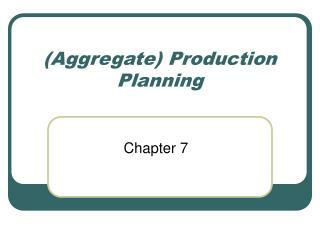 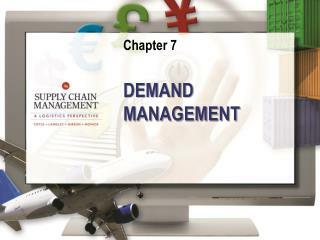 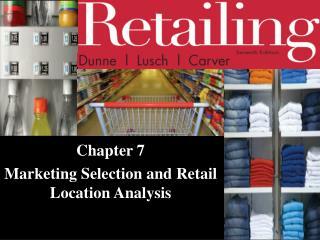 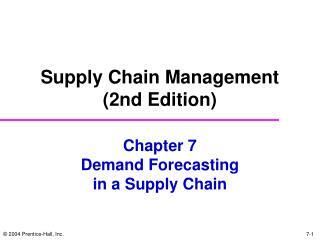 chapter 7 demand forecasting in a supply chain. 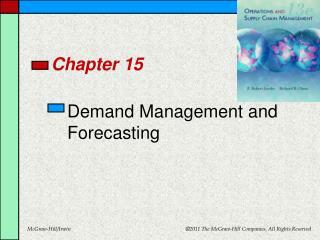 characteristics of forecasts.